iPhone Only Charges In Laptop Or Car, Not The Wall: The Fix! 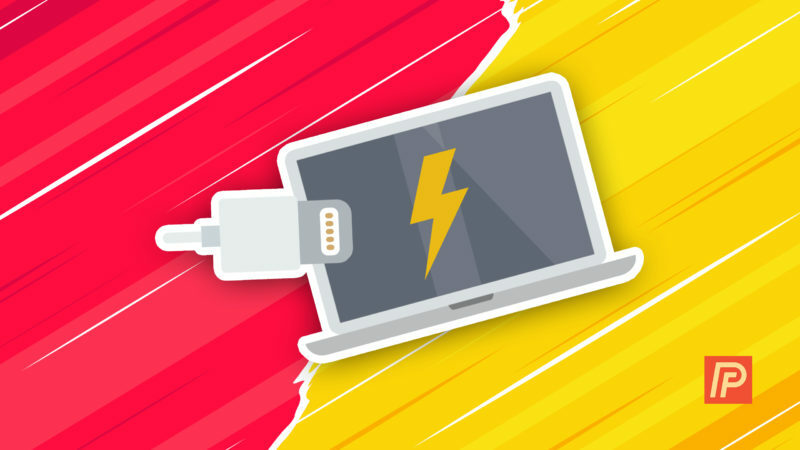 You are at:Home»Charging»iPhone Only Charges In Laptop Or Car, Not The Wall: The Fix! Your iPhone charges when it’s plugged into the USB port on your laptop or car, but it doesn’t charge when it’s connected to the wall charger. Huh? You’ve tried different cables and different chargers, but your iPhone won’t charge if it’s plugged into an outlet. In this article, I’ll explain why your iPhone won’t charge when it’s connected to the wall outlet, try to explain why it happened, and explain the workaround to fix this mystifying problem. If your iPhone won’t charge at all, check out my article called My iPhone Won’t Charge to find the help you’re looking for. At first I thought it was an issue with a third-party cable or wall-charger, but that wasn’t it. Both people were using Apple-branded cables and chargers. To make things even more confusing, the same cables and chargers that didn’t work with their iPhones worked perfectly with other iPhones. This was a tricky problem to solve. I knew there had to be a difference between charging an iPhone in the wall and charging it using a computer, but what was it? The computer, car, and the iPhone wall charger all put out 5V (volts), but later I discovered they weren’t exactly the same. Electricity flowing through a wire is like water flowing through a garden hose. The diameter of the hose is analogous to amperage, in that it determines the amount of water or electricity that can flow through the hose at one time. The pressure of the hose is analogous to voltage, in that it determines the pressure of the water or electricity that flows into your device. Aren’t All 5 Volt Chargers The Same? The key to solving this problem lies in the understanding that not all 5V chargers are the same. The difference between the chargers isn’t the voltage. It’s the amperage. The iPhone wall charger, laptops, and iPhone car charger are all 5 volt chargers, but the differentiating factor is amperage. The iPhone wall charger delivers a 5V (volt) charge at 1 amp (1A), which is equivalent to 1000 milliamps (1000mA). Most laptops deliver a 5V charge at 500 milliamps (500mA), half the amperage of the iPhone wall adapter. Your iPhone can’t handle the amperage of your wall chargers (1 amp+), but it can handle the amperage of your car and laptop chargers (500mA). Based on some quick discussions I’ve had with experts, this may be due to a problem with the power input regulator circuit, or voltage regulator. iPhones are designed to be compatible with chargers from 500mA to the 2.1A iPad charger. My theory is that the circuit inside of your iPhone that differentiates between amperages has been damaged, so your iPhone only accepts the lowest possible amount. This, however, is only a theory. Can An iPad Charger Harm My iPhone? No. iPhones are designed to handle higher amperages than the 500mA or 1A put out by the wall charger. Apple’s 12V iPad charger puts out 2.1 amps and is fully compatible with every iPhone according to Apple’s official specifications. Since amperage determines the amount of electricity flowing through the wire, the higher the amperage, the faster your device charges. iPads will charge using an iPhone charger, but they’ll charge twice as fast if you use the higher-amperage iPad charger. However, some experts say that charging lithium-polymer batteries at higher amperages can shorten their overall lifespan. How Do I Fix An iPhone That Won’t Charge When Plugged Into The Wall? Unfortunately, once the power input regulator circuit is damaged on an iPhone, there’s nothing you can do at home to fix the problem. But you’re not totally out of luck. Even though the 1A Apple wall charger won’t work, you can buy a 500ma wall charger on Amazon that puts out an amperage your iPhone can accept. It’s not a perfect solution, but it’s a lot better than replacing your entire iPhone. A word of warning: I haven’t personally tested the Amazon 500ma chargers with an iPhone in this scenario, simply because I don’t have one with this problem. I’m not 100% sure a 500mA wall charger will work, but I think it’s worth a try for the $5. It you try it, please let me know how it works out! If you’re under warranty, a trip to the Genius Bar at your local Apple Store may be in order. We’ve covered a lot in this article, and by now, you know that you can charge your iPhone in the wall, as long as you use a 500mA charger. If you’d like to learn more about the insides of the iPhone charger, this very in-depth article features a full tear-down of your iPhone charger. There’s a lot of technology packed into that little plug! I’ve heard from some people who say their battery life seems to have gotten worse since they first noticed this problem. If you’re struggling with that too, my article about how to save iPhone battery life can help a lot. I’d like to hear your experiences with charging your iPhone in the wall, especially if you’ve dealt with this problem. If you decided to pick up a 500mA charger on Amazon, please let me know if it works for you! This is a common problem, and your experience can help a lot of frustrated people. Previous ArticleMy iPhone Notes Have Disappeared! Don’t Worry. The Fix! Next Article My iPhone Apps Won’t Open! Here’s The Real Fix.